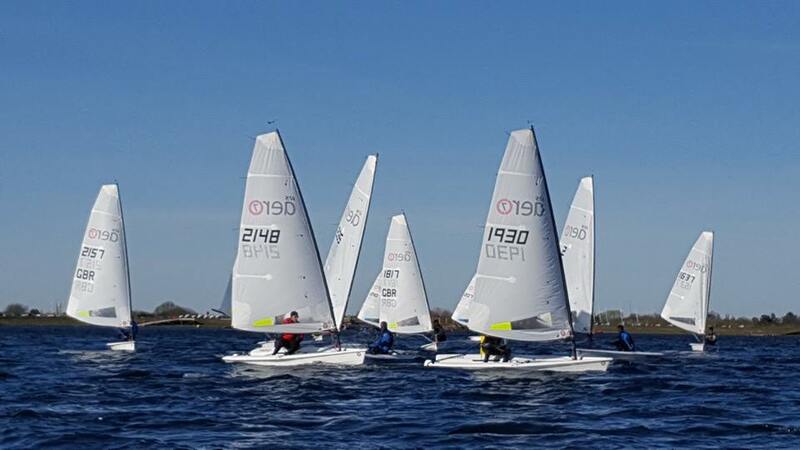 Twenty-eight RS Aeros competed at Island Barn, excited at the prospect of a breezy blue-sky day with flat water and a large home fleet. A welcoming committee to help up the ramp, fine bacon baps and an Aero bar for all those who had pre-registered set the feel for the day with everyone made thoroughly welcome on what certainly felt like a warming change in the season. RS Aero 9 rigs stayed firmly in their bags with all the fun you could ever want available with in the RS Aero 7 and RS Aero 5s. Race 1 was pretty close racing amongst the RS Aeros. Emma Pearson won in the Aero 5s giving the boys plenty to think about. Peter Barton took the RS Aero 7s from the UK Winter Champ, Liam 'Lightning' Willis. Having done an awesome job over achieving as host the gross under achievement award went to Gareth Griffiths for having to double back for the gate marks in the course he had helped devise! Race 2 saw perhaps the windiest race of the day producing some fantastic photographs of the RS Aeros blitzing around the tight course. The first five RS Aero 7s were within 30 seconds at the finish. Matt Evans took the 5 race, and Peter won a second 7 race after late come back overtaking Greg Bartlett on the final lap. Then in for a welcome lunch and more fine sustenance ready to re group for two more in the afternoon. The Race 3 belonged to Matt Evans who flung his RS Aero 5 off the port end of the start line and cleverly up the left side of the course with such vigor that he beat all but one RS Aero 7 to the top mark! Chairman Rolfe and Greg Bartlett battled it out at the front until a late charge by Barton caught a lucky shift on the left to elevate him into the lead. Matt Evans comfortably took another RS Aero 5 race with many 7s struggling to catch him in the breeze. Race 4. Tired legs were setting in after a day of coping with the bullet gusts but still most of the overall fleet finished the last race which was encouraging. Matt Evans won the 5s again and with it the RS Aero 5 Spring title. For the first time Peter Barton led from the beginning (copying some of Matt’s lefting) with Paul Bartlett narrowly taking 2nd from the chasing pack of nippers. Thanks to Noble Marine for their support towards a fantastic array of prizes. The class also awarded the Trophy for the recent 47 entry RS Aero UK Winter Champs held at the Oxford Blue where 16 year old Liam Willis pipped his elders to take the title. 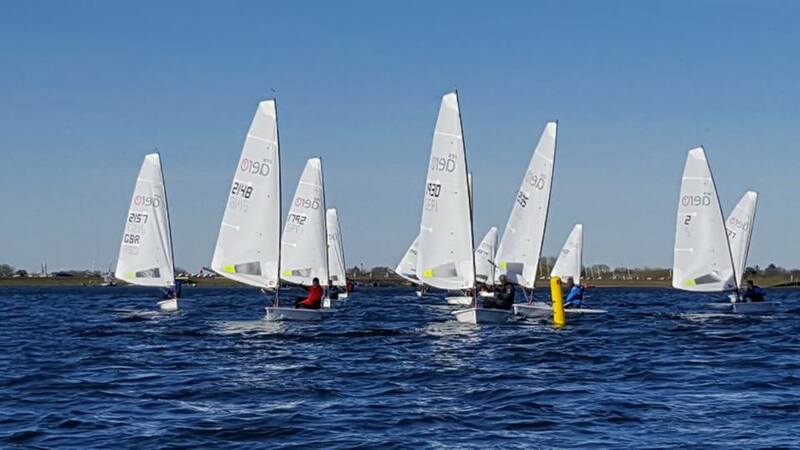 Next up is the RS Aero Sustainability Trophy this Saturday 1st April where the Class and Burghfield SC are partnering with The Green Blue to improve environmental awareness and reduce impact within our part of the sport. From there the action moves north to beautiful Ullswater for a long weekend in Lakeland at the RS Aero UK Northern Champs over Easter with Good Friday as an RS Aero Class training day. UK Events 2017. Keep in touch with Everything Aero via the Class website and Facebook Group. Video - Matt Evans of Great Moor SC demonstrates the capabilities of the RS Aero 5 in a breeze when in Race 3 he arrived at the windward mark in 2nd place overall in a fleet of over 20 that were mostly '7's.